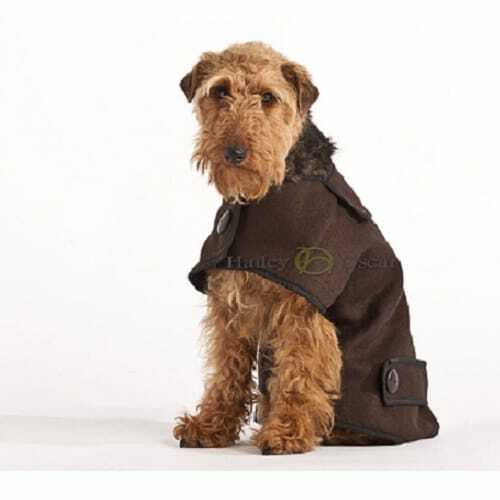 Designer Casual Woollen Dog Coat made from a wool mix fabric. 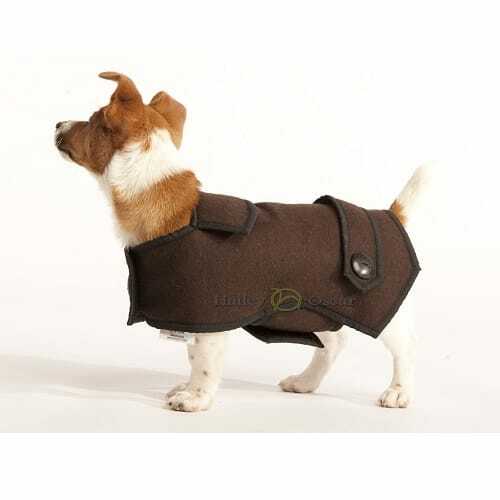 This Luxury Casual Wool Dog Coat is made with a wool mix fabric. 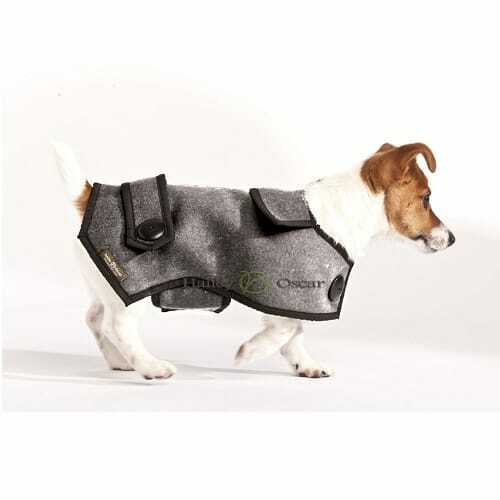 The designer dog coat is lined with fleece to help keep your dog warm and comfortable in cold weather. This dog coat is shower proof and wind proof while also being machine washable. It is lightweight and warm with velcro straps which allow easy fastening and removal. At the front there is a large strap to protect the dog from wind. A large surcingle pad straps around your dogs body to help keep them warm. The V shape at the back of the coat allows your dog to wag its tail. It also has matching wood buttons. The casual wool dog coat is currently available in dark brown and grey. Six sizes are available which fit most breeds of dog. To obtain the correct length, measure from the neck to the root of the tail.